John “Cashia Bush” Smuthson, Junior Weed Whacker Operator in Training and Public Relations Officer for PWD (Public Works Department) on behalf of PWD called for a press conference on December 32, 2017. TheManchineel was unable to attend this press conference as we could not determine which day of the week it was, however we reached out to PWD in the New Year. Mr. Smuthson told us, “Sorry about the December 32 date. It was a typo and it was simply too hard to correct it after we released the announcement.” In addition to this statement the following Press Release was given to use to publish. 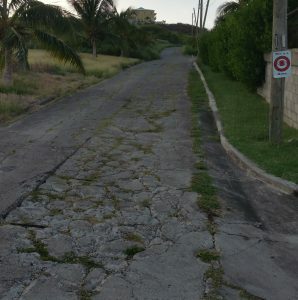 Today PWD announces the eco-road initiative for a greener St Kitts & Nevis. 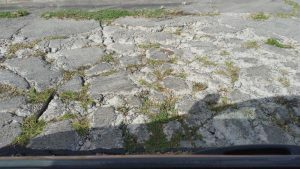 “Eco-Pavement” has been used in parking areas and other areas in Europe for decades. 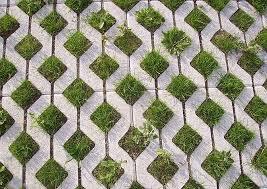 Eco-Pavement consists of concrete cells in which grass is allowed to grow. It requires less material than a full concreted or paved road, allows better drainage, and helps to reduce CO2 pollution. 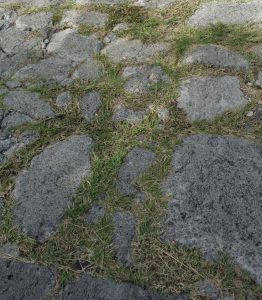 We wanted to not only use eco-pavement, but we wanted to create a Caribbean initiative and produce our own eco-pavement using local resources. 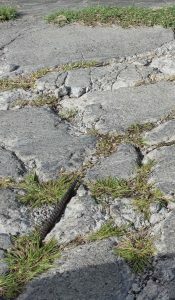 Our local eco-pavement product is called nature-pave and the roads we are building with it we call eco-raods. 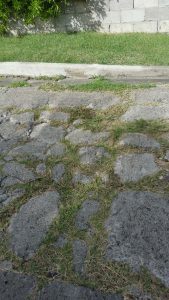 Several areas around the island have been testing our unique nature-pave concept for several years now with Half Moon area being our prime test bed.